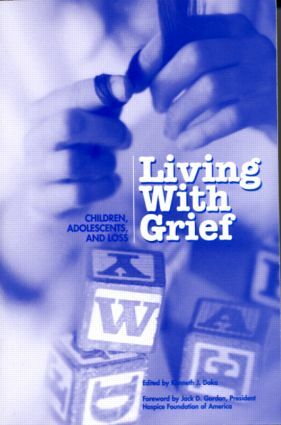 Living With Grief: Children, Adolescents, and Loss, (2000) edited by Kenneth J. Doka, features articles by leading educators and clinicians in the field of grief and bereavement. The chapters entitled "Voices" are the writings of children and adolescents. The book includes a comprehensive resource list of national organizations and a useful bibliography of age-appropriate literature for children and adolescents.